Princess Royal Cupcakes info about the game-Games2Rule. This cute princess is throwing a royal tea party for her friends. there will be tea drinking, dessert eating, games playing and lots of gossip, of course. the princess wants to surprise her guests with the most amazing royal cupcakes baked by her own hands. assist the pretty princess in the kitchen helping her bake and decorate the fabulous small cakes. mix the ingredients to make the batter, pour the batter into paper cups and bake the tray in the oven. the royal cupcakes smell divinely. prepare the decorative toppings. decorate the tasty cupcakes with white and pink whipped cream using pipping bags. icing can also be used. give the delicious cakes a royal look adding miniature tiaras, castles, candy sprinkles and bows on top. 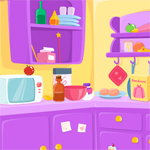 it is going to be the most fabulous tea party ever, so have fun playing our brand new cooking game! play the best cooking and dress up games only on egirlgames.net!